Still think Blue is just a bit too strong? Well then, this flavor is for you. 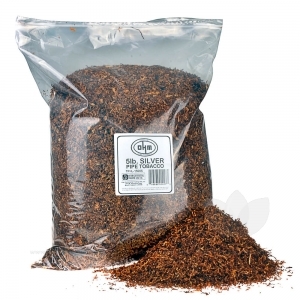 A very mild, and easy going blend that focuses less on flavoring and more on the tobacco itself. A very light-bodied smoke with a smooth and even cut. OHM pipe tobacco is a medium cut, strong pipe tobacco that limits shake and stems using an intricate filtering procedure prior to packaging. This method ensures that every bag, no matter the size is perfectly mixed and flavored to deliver an unmatched experience.